So, as it happened, before we were even saved we repeatedly investigated this eternal curiosity. Then, in response, God continued to show Himself to us, until at some point He got a hold of us, and we decide to accept Him. Then, at that point, He gave us His Spirit and worked in us the desire to do His will (Phil. 2:13). And the more we do His will and seek His face, the more He shows Himself to us; and He brings us into a love relationship with Himself. Therefore, this created inner knowledge (or curiosity) for eternal things is brought to a greater understanding when we are saved. That is, Christ within us makes all things new; and He shows us that we were made in the image of God, and made to find and experience God. Before we were saved we had a curiosity about God, but we really didn’t have much understanding. Then, when the Holy Spirit came into us, the light came on—He gave us a new understanding and a greater desire to know Him. Whereas before God was a curiosity, now God is all we want. And we often wonder how we ever survived without Him. And so, the Holy Spirit within us creates in us greater and greater desires for God. To find Him and to be alone with Him is what we long for. He is our greatest pursuit. 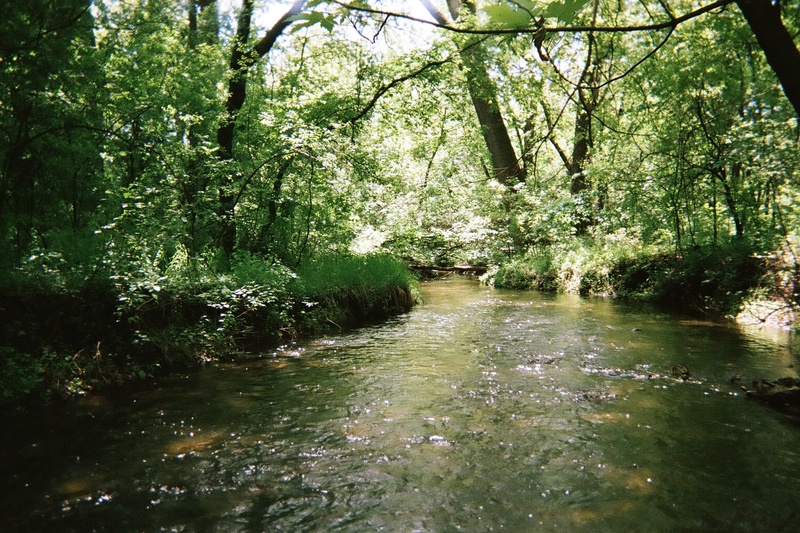 Yes, to drink of the rivers of His delights is what our soul more and more longs to do (Ps. 36:8). Hence, we are on a hunt for God you might say. But where do we find Him? In my experience, I have found Him most often in quiet lonely places—places away from the hustle and bustle of life, away from events and activities (even church activities!). It is in those special places that we may best capture a sense of timelessness—where there is peace, love and joy in the Holy Spirit. This I believe is what heaven is like; that is, in heaven for all eternity there will be no rush of life, only to enjoy the now. I believe all eternity will be timeless, as if time stands still. In his book, A Severe Mercy, Sheldon Vanauken talks about this subject of timelessness, how he believes heaven to be timeless and our destiny. It is not so easy to find those places, at least in the city and during the day. So I suggest going out early in the morning and late at night. It will take a great effort, a sacrifice of your comfort to do this kind of hunt for God; but as any good hunter knows, you have to work at it, you have to make sacrifices and be patient and wait. And you have to go to the places where you know your game will be. Thus, in our search for God, we have to be willing to go where He can be found. And, by the way, the Bible says, if you seek Him, that is, search for Him with all your heart, He will let you find Him (1 Chron. 28:9, Jer. 29:13). Now let me give you some additional clues as to where you can find Him. It’s away from the city lights. It’s away from the TV and from the comfort of the sofa. He is found most often by a quiet stream and in the desert. And it is my unusual experience to have found him in very dark places (inside the house or out). In those times and places I have found that the mind becomes more connected to the soul and spirit, so that we more spontaneously know what we really need or what God wants from us and is saying to us. In those times of lonely solitude we lose the impression of the world and gain the impression of Christ. Hence, the senses are less satisfied, the soul more satisfied and thus more alert to God. In those times we find that words of prayer come more easily, that is, we hear the Spirit telling us what to pray; and then He guides us in our prayer. When I was in the service (the Marine Corps), stationed at Camp Lejeune, North Carolina, I often went out, after dark, to a place along a bay. It was quite an adventure just to get to the place, because I had to probe my way through some dark woods down a very narrow path. But once I got to this secret place, God would always speak to me and bless me. The lesson I learned from those experiences is that He blesses us most when we make a sacrifice to find Him. I remember also that the service for me wasn’t any picnic; I really needed those special times. So when I found God in that place, and experienced His comfort and peace, I kept on going back there to find Him; and He was always there waiting for me. Our spiritual fathers (Abraham and Jacob) also had their special places of prayer, where they built altars to God. And they continued to go back to those same places—because it was there that they found God, and He blessed them (Gen. 12:8, 13:3-4, 28:10-22). Let me encourage you to go back to those special places where God has visited you. Perhaps He is there right now, waiting for you. 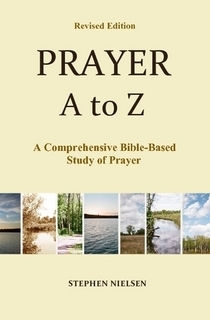 This entry was posted in Prayer A to Z Excerpts, Xanadu, The Beauty of Prayer and tagged A Severe Mercy, A Time For Every Purpose, Bob Ricker, Ecclesiastes 3:11, Eternity, personal devotions, prayer, quiet times, Sheldon Vanauken, special places of prayer. Bookmark the permalink.